War has always produced poetry, traditionally paeans to courage, honor and self-sacrifice and celebrations of the warrior fighting and perhaps dying nobly and the soldier giving his life for his country. 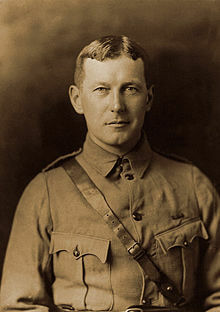 The Great War initially produced such sentiments, and perhaps the best remembered English language poem of the war is In Flanders Fields by John McCrae, a Canadian physician, who composed the verse on 3 May 1915 in memory of a friend who had died at the Second Battle of Ypres. 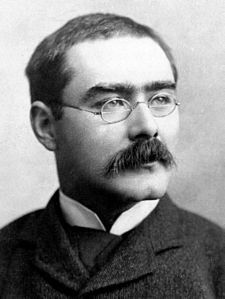 (McCrae himself died of influenza in 1918.) The poem succinctly captures two traditional aspects of war poetry: the honored dead and the sense of mission, now to be carried on by others, that brought them to the grave. But the Great War was unlike any previous conflict in history. Firearms and cannon, the weapons of industry, had been present for centuries, but this was the first truly industrialized war. Traditionally, the hideous face of war – the disemboweled men, the stinking bodies, the maimed survivors – had generally been ignored in favor of those noble qualities associated with men facing death. Twentieth century weaponry blew away this romantic mantle. 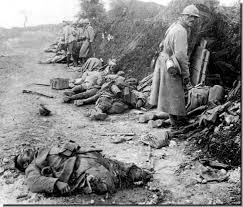 It was now extremely difficult to ignore the utter horror and to see anything at all heroic in the mega-death of the trench lines. You no longer died on a field of green, exhorting your comrades with your last breath and confident you would be celebrated by them. Now you died in the mud, choking on the gas or shredded by shrapnel. Now you were incinerated or blown into nothing or buried alive by the artillery. Now your comrades might never find you and were in any case likely to soon be casualties themselves. At the beginning of the conflict the age-old sentiment of Horace (Odes 3.2.13) was paramount: Dulce et decorum est pro partia mori – Sweet and proper is it to die for the fatherland. 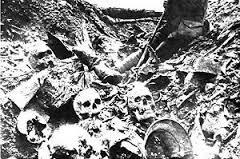 But the ghastly conditions of the trenches soon made a mockery of dulce et decorum, and it became less and less clear how one’s death benefited one’s country, especially when the generals, comfortable in their chateaux, did not seem to be given many opportunities pro patria mori. 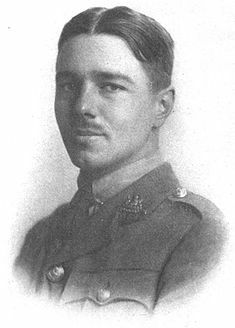 Wilfred Owen, who was killed exactly one week before the war ended, reflected this disillusionment in what is perhaps my favorite poem from the whole bloody affair: Dulce et Decorum est. Such images could hardly be more distant from the maudlin call of In Flanders Fields. The environment of war may produce noble actions – and great literature – but it is after all impersonal slaughter, and the Great War demonstrated that in a way unmatched before or since. This entry was posted in Dulce et decorum est, gas warfare, Great War, history, Horace, In Flanders Fields, John McCrae, poetry, Rudyard Kipling, trench warfare, war, war poetry, Western Front, Wilfred Owen, World War I.